Marijuana becomes legal in Oregon this week (except for sales), Washington's legislature moves to modify pot legalization there, Delaware becomes the latest state to see dispensaries arrive, the policy folks at Rice University's Baker Center have a new drug policy report out, and more. 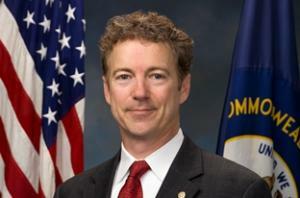 Rand Paul to Fundraise at Marijuana Industry Event in Denver Tomorrow. The Kentucky Republican junior senator will become the first presidential candidate ever to seek funds from the marijuana industry when he appears at the Cannabis Business Summit in Denver tomorrow. Oregon Legalization Goes Into Effect Wednesday, But No Sales Yet. Beginning July 1, adults 21 and older will be able to legally possess up to 8 ounces of marijuana in their home and up to 1 ounce of marijuana outside their home. Adults may also grow up to four plants as long as they are out of public view. The regulatory structure allowing for commercial retail sales is still in the works and will not be implemented until next year--or, at best, later this year. Washington House Passes Legalization Changes. Last Friday, the House approved House Bill 2136, which changes several features of the state's voter-approved legalization scheme. The bill replaces the three-tier tax structure with a single 37% retail excise tax. It was also amended last Friday to eliminate language that would have required a vote of residents before towns or counties could ban licensed pot businesses. The bill now moves to the state Senate. Delaware's First Dispensary is Open for Business. The First State Compassion Center opened last Friday in a Wilmington industrial park. This is nearly four years after the legislature approved them, but the process was stalled when Gov. Jack Markell (D) backed away in the face of federal threats. Finally, Delaware's patients have a legal place to obtain their medicine. Baker Institute Report on Drug Policy Calls for New Paradigm. The policy experts at Rice University's Baker Institute for Public Policy are calling for a new paradigm in drug policy—one that doesn't rely almost exclusively on punishment. "The core strategies of the US war on drugs are eradication, interdiction and incarceration,” said William Martin, the institute’s director of drug policy studies. "After a 40-year and trillion-dollar effort, illicit drugs remain available to meet a remarkably stable demand,” Martin said. The report is Rx for a US Drug Policy: A New Paradigm. Federal Bill to Undo "Over-Criminalization" Filed. Rep. James Sensenbrenner (R-WI) and 21 bipartisan cosponsors have filed HR 2944 "to improve public safety, accountability, transparency, and respect for federalism in the federal criminal law by applying the findings of the Over-Criminalization Task Force and evidence-based reforms already made in some states…" It has been assigned to the House Judiciary and House Energy and Commerce Committees. Peru Ends 30-Year State of Emergency in Northern Coca-Growing Area. President Ollanta Humala announced last Saturday that the government is lifting a state of emergency imposed on the Alta Huallaga coca growing region. The announcement came the same day the government said it had captured the logistics chief of the Shining Path rebels in the area. States of emergency still exist in other coca-growing areas where the Shining Path remains a presence. At least 69,000 people were killed in the Shining Path insurgency in the 1980s, and the group remains active, although diminished, and active in the coca and cocaine trade. Uruguay Rejects UN Criticism on Marijuana Legalization. Juan Andres Roballo, head of Uruguay's National Drug Board, said last Thursday he will present a report to the UN High Commissioner on Human Rights defending his country's decision to regulate marijuana markets. "We won't go back," he said. "Uruguay has embarked on a different path. Not only have we made proposals, we have also taken effective, concrete measures in a different sense." Bermuda Poll Finds Rising Majority Support for Marijuana Law Reforms. Nearly eight out of 10 Bermudans want marijuana either decriminalized or legalized, up from seven out of 10 last year, according to a new Profiles of Bermuda poll. Almost 40% supported decriminalization number, and another 40% supported outright legalization. The number of people who want pot prohibition on the island to continue dropped from 27% to less than 20%. Click on the link for more poll details.